With histories, personal stories, and the latest research, this book helps readers chart their way out of addiction and back to the fullness of family by using principles that restore the "we" of lasting, loving relationships. What happens to the "we" of a family when one member opts for the blind and single-minded "me" of addiction? In an instructive, reassuring way, Craig Nakken explains just how families and couples who have spent years building a life together can lose their cohesive identity and meaning in the wake of addiction. 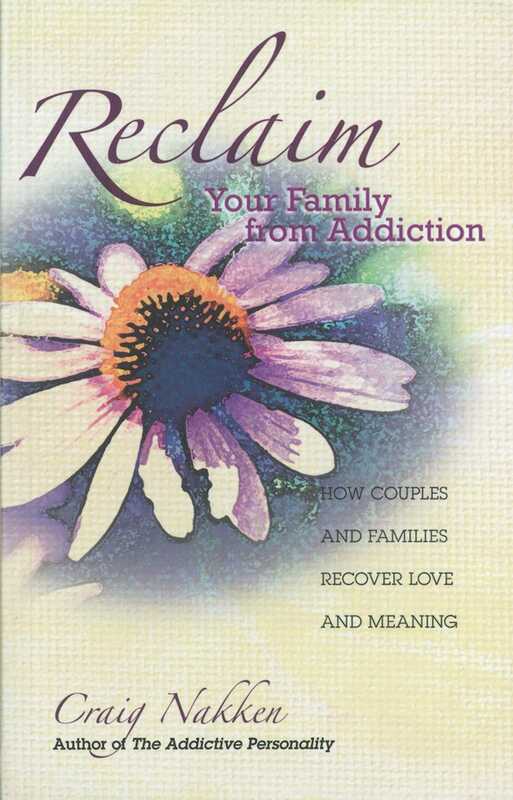 The perfect starting point in the healing process, this book Reclaim Your Family From Addiction-also reminds us that recovery is possible--for individuals, couples, and whole families--if only we know what to do. With histories, personal stories, and the latest research, the book helps readers chart their own way out of the hell of addiction and back to the fullness of family by using principles that restore the "we" of lasting, loving relationships. Craig Nakken, M.S.W., author of The Addictive Personality and Men's Issues in Recovery, lectures, trains, and specializes as a family therapist in the treatment of addiction. He lives in Minneapolis, Minnesota.